my top 10 picks of 2017 ! 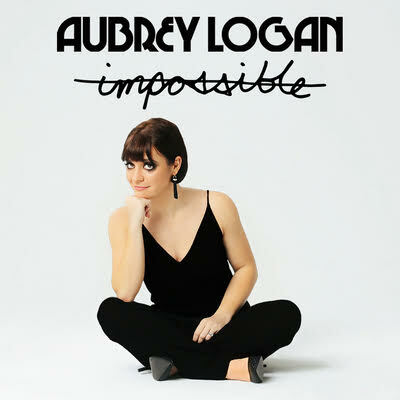 Busy times are coming up for the live-wire trombonist Aubrey Logan, a super talented artist. Seattle-born, LA-based Logan was the winner of the Jazz Voice Competition at the Montreux Jazz Festival in 2009, and since then has performed or recorded with Quincy Jones, Burt Bacharach, Josh Groban, Linda Ronstadt, Smokey Robinson and Pharrell Williams. Recent videos such as Bills have had over 200,000 views. Logan’s album Impossible was released at the beginning of 2017. “We titled the album Impossible because so many people were saying it couldn’t be done, that we couldn’t pull together an album with such a diversity of styles and genres.“ “Striking a vibe not unlike the superspy soundtracks of the ‘60s (think “Bond, James Bond”), Pistol targets Logan’s “sassy-chick” side, according to the artist herself, who co-wrote the song with Pam Sheyne, Pistol one of my favorite songs just won the USA writing contest in the Jazz category and 3rd overall, this week- I have seen her incredible performances live and I absolutely love her. “ – I dig it!. Click here for link to Impossible. 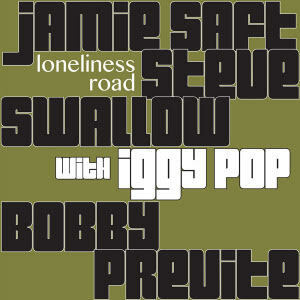 But it’s the unlikely presence of Iggy Pop, who channels his well-deep baritone through his love for Frank Sinatra’s In The Wee Small Hours on three tracks (Don’t Lose Yourself, Everyday, and the album’s title cut) in a way that will make any fan of the punk godfather’s work swoon, while the man born Jim Osterberg rings in age 70 with a perfectly imperfect croon. Just sayin’…as I was a punk / new wave in the 70’s I must say this has a great vibe and it makes my top 10 of 2017 – Click here for purchase link to Loneliness Road. Not Even Happiness by American singer Julie Byrne is one of my top 10 picks, for her fresh and real truth in her songwriting, as evidenced in the track Follow My Voice. This latest album was recorded and mixed in Byrne’s hometown of Buffalo, New York, except for the string arrangements by Jake Falby, which were recorded at a cabin in Holderness, New Hampshire. The album is labeled as a contemporary folk release. 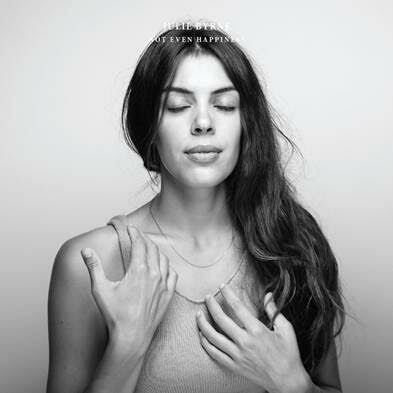 According to Ed Nash of The Line of Best Fit, Not Even Happiness features motifs of “nature and matters of the heart.”Julie Byrne is an American singer, songwriter and guitarist from Buffalo, New York. To date, she has released two studio albums, Rooms With Walls and Windows (2014) and Not Even Happiness(2017). One of my top 10-fresh real truth in her songwriting – Click here for link to Not Even Happiness. “The songs this album are of dreams and daggers. The daggers have been used at times to attack, at times to defend. For power, no doubt, to take it, to keep it. The dreams are the ones I caught looking out a window, or from the light sleep before the deep. I don’t always know what they mean, but they are the ones I was able to keep. And yet dreams can be desires too. I wrote them down to make them true. That we may bring our wildness into view. 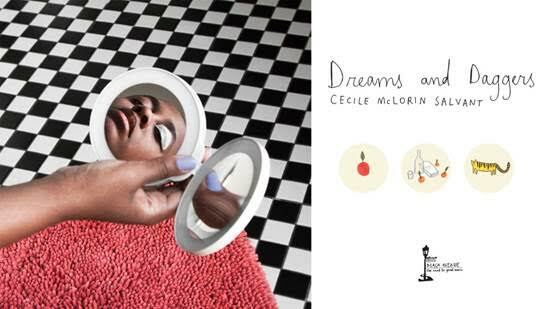 That we may be unruled and unruly” says Cécile McLorin Salvant. I love this singer and think this is a fantastic CD. Check out her version of You’re My Thrill and you’ll see why. Click here for link to Dreams and Daggers. Sinne Eeg is a singer’s singer. With her perfect intonation, impeccable sense of time, and mellifluous timbre, the Danish vocalist has earned the admiration of fans and fellow musicians around the world. An international star in Europe and Asia, Eeg is poised to break out in the U.S. with her newest CD, Dreams, her ninth CD as a leader. 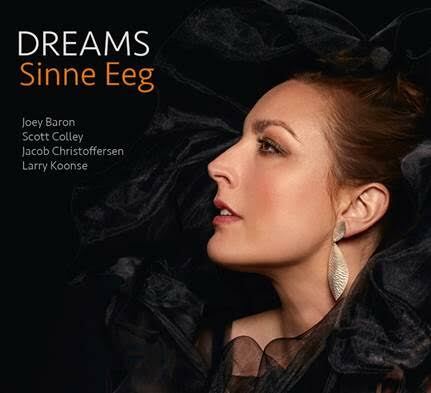 Her last CD, the critically acclaimed and award-winning Eeg-Fonnesbæk, a duo project featuring only vocals and bass, was her first album distributed in the U.S. On DREAMS, she’s once again joined by her longtime collaborator Jacob Christoffersen, with the rest of the ensemble comprising some of the most respected names on the U.S. jazz scene today. According to Eeg, “It’s important to perform with great musicians, but it’s also important to perform with people you genuinely like. I find it essential to have a good rapport with the band, as I do with the guys on this CD.’’ I love, LOVE Sinne’s singing, both live and on record! 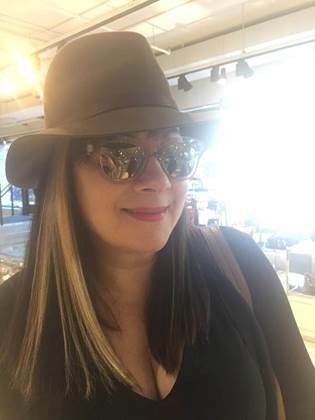 Check her out – click here for link to Dreams. 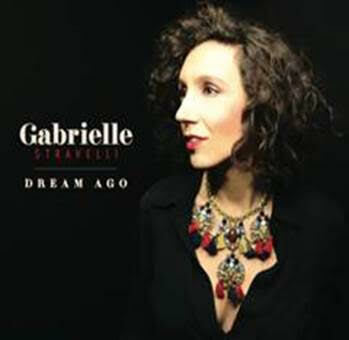 Gabrielle Stravelli’s latest album Dream Ago was released on January 27th, 2017. Her new compositions are professionally constructed and manage to take us to surprising places in the future and past. I adore the tune Cake of My Childhood-It is charming to hear excellent musical taste – and the title track Dream Ago is a real showcase of her song writing talent. Catch her live when she’s on tour in your neck of the woods. Click here for link to Dream Ago. Pianist Art Hirahara makes bold and personal statements while taking us along for the ride on a journey of self-exploration. Central Line is the sincere demonstration of a forward-minded artist seeking to discover the inner continuity of his life, and to pay respect and homage to the music of his family, ancestors and homeland. With an amazing combination of talents and hard swinging highlights by bassist Linda Oh, drummer Rudy Royston and special guest Donny McCaslin on a few selections, and an evocative program of music, Hirahara’s Central Line is elegantly lyrical and clearly suggestive of a modern jazz sensibility that is sure to bring bright moments of intense delight to jazz fans everywhere. I and proud to call him a friend and have much musical respect for this hip cat. Click here for link to Central Line. 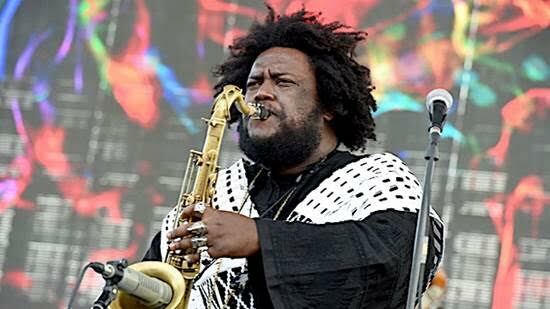 Even on this shorter EP, saxophonist and composer Kamasi Washington displays a tireless ambition with his compositions, performance, and spiritual approach. Harmony of Difference was originally part of a multimedia work that illustrated how forces that seem to be working in opposition could come together as a composite of complex beauty. Where musical counterpoint was the driving idea for the compositions, Harmony also feels like a meditation on memory, association, and vantage point. But what ultimately binds Washington’s work together is his spiritual approach. The concept for Harmony and the video for Truth make clear that Washington is framing his work so that they’re in conversation with the biggest social issues facing the world. Harmony of Difference, a brief and concentrated blast of emotion, is a great place to catch up on what Washington has to say. Hip CAT alert here! 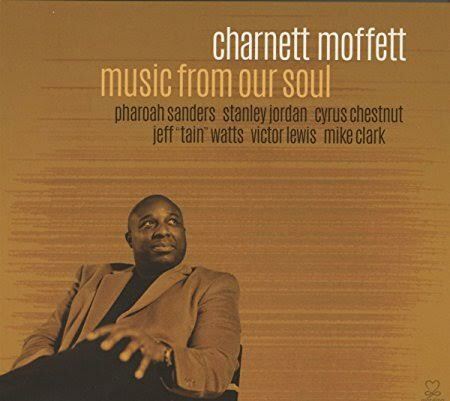 If you were hip to the vastly underrated era of jazz during the late ’80s and early ’90s, you are well aware of the period’s hottest young prospect on the bass in Charnett Moffett, who in the infancy of his career found him blessed with tenures at the side of such giants as Ornette Coleman, Art Blakey, McCoy Tyner and Sonny Sharrock. Now, on the 30th anniversary of his classic Blue Note debut Net Man, the New York City-born musician brings together an all-star squad of fellow Reagan/Bush-era vets for his wildly diverse debut on the Motema Music label.But while the combo of guitarist Stanley Jordan, pianist Cyrus Chestnut and drummers Jeff “Tain” Watts and Victor Lewis is impressive in and of itself, it’s the increasingly rare studio presence of sax legend Pharoah Sanders that makes Music From Our Soul such a wonder to behold; the former Coltrane Quintet co-captain leads these renowned modern jazz journeymen into the promised land like a hard-bop Gandalf. Click here for link to Charnett Moffett. 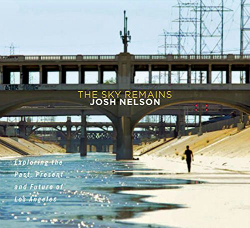 In this latest project, The Sky Remains, Josh Nelson uses an 11-piece ensemble to create an aural equivalent to his native city (Los Angeles), combining three horns (trumpet, clarinet and alto sax or flute) with an expanded rhythm section (piano, organ, bass, drums and percussion) and three vocalists—including Nelson—singing with and without lyrics. Nelson also pays tribute to two LA musicians, Russell Garcia (with his bizarre “Lost Souls of Saturn”, here transformed into a potent solo vehicle for the horns) and Elliott Smith (whose “Pitseleh” is offered as a tender memorial to the late singer-songwriter). When Nelson performs this suite live, he enhances the experience with historical film footage. However, those unable to catch one of these multimedia events should not be deterred from purchasing this CD, as Nelson’s music creates vivid images on its own. Click here for link to The Sky Remains.